Courageous is the latest film from Sherwood Pictures, the Christian film studio responsible for uplifting faith-based fare such as Facing the Giants and Fireproof. It is in many ways the most accomplished film yet from the Baptist filmmakers out of Georgia, though it shares the same weaknesses as their previous efforts. As in those movies, moments of genuine dramatic power are diluted somewhat by distracting melodrama and broad humor. In the case of the latter, there's some very funny stuff here, but it occasionally causes abrupt tonal shifts that undermine the emotional impact of preceding scenes, giving the sense that one is watching an entirely separate movie. 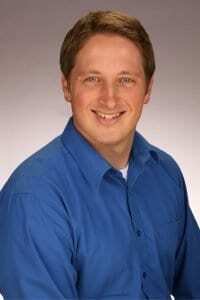 In the case of the former, the decision to use church members and pastors instead of professional actors is a double-edged sword; they possess great sincerity and down-to-earth relatability but sometimes lack polish. That said, there's some terrific stuff here. Director/star Alex Kendrick shoots his action scenes with just the right mixture of hand-held camerawork and spatial awareness, nailing the balance of upping the adrenaline while never losing the audience (a skill that far too many Hollywood action directors haven't yet mastered). Many dramatic moments hit their mark. What's more, this is probably the most important film, spiritually speaking, of the past year. It addresses with refreshing clarity truths that are both timely and timeless. Kendrick uses the genre of the police thriller to thoroughly and poignantly explore the need for strong, loving, and faithful fathers, as well as devoted husbands. The virtues of integrity, altruism, love, and bravery are portrayed in a manner that makes them attainable and practical. As a call to action and as an invitation to come unto Christ, Courageous packs plenty of spiritual firepower against the forces of error that are dragging men, and their families, down into despair and sin. As a drama, I'd give it a solid “B.” As a spiritual allegory, rich in meaning and wisdom, it receives an “A.” The film is available to rent or buy. 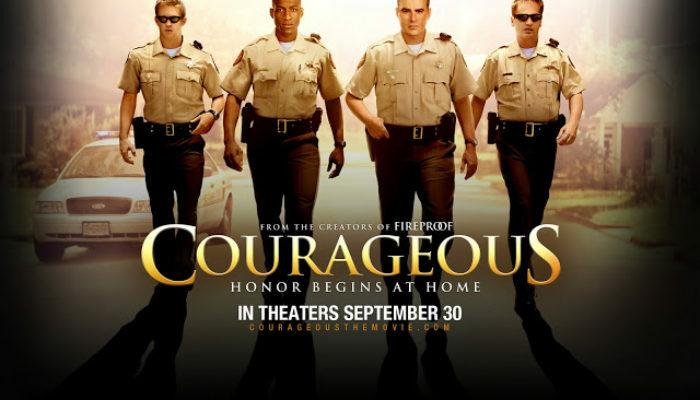 CONTENT OVERVIEW: Courageous is rated PG-13, but it's a very mild PG-13. The police engage in shootouts and fistfights with criminals, but the emphasis is on heroism, bravery, and protecting the innocent, not on glorifying violence. It feels more like a PG-rated film, with no foul language, gore, or sexuality. The rating comes simply from the presence of drugs in criminal possession, but in this regard, and all others, evil is portrayed only to contrast it with good. MESSAGES TO DISCUSS: Fathers who practice integrity, hard-work, kindness, and virtue will help their families to develop the same attributes.